The road to the Clay Butte Fire Lookout, which is located next to Beartooth Butte shown here, has been closed. This slump has prompted the closure of the Clay Butte Lookout Road. 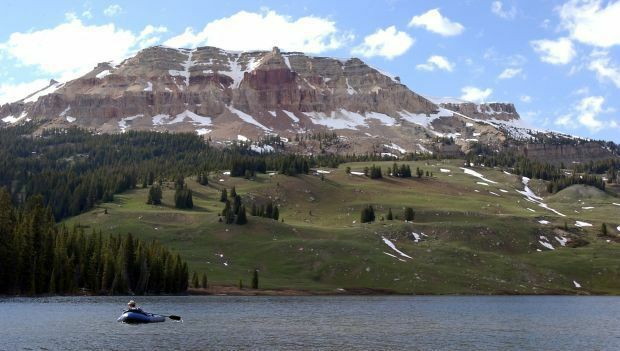 The opening of Clay Butte Lookout on the Clarks Fork District of the Shoshone National Forest has been postponed due to damage on Forest Service Road 142. The lookout is a popular stop along the Beartooth Highway and also provides access to trails that enter the Absaroka-Beartooth Wilderness Area. For more information contact the Clarks Fork, Greybull, and Wapiti District Office at 307-527-6921.